It seems that famous singer Ricky Martin has finally decided to make the big step. The famous star announced during a recent interview and he and his life partner are now engaged. It seems that Ricky was the one who asked the big question to his painter boyfriend, Jwan Yosef. “I proposed,” the popular singer said during a recent appearance on The Ellen DeGeneres Show. The star claimed that the moment was very emotional. “I was really nervous,” Ricky Martin explained. “I got on my knees and I took out the little metal box I just had it in a little velvet pouch and instead of saying ‘will you marry me’… I said, ‘I got you something!’ Bad. And then he was like, ‘yes.’ I said, ‘I want to spend my life with you’ and he was like, ‘what is the question?’ ‘Would you marry me?’ That’s it,” he went on to reveal. Ricky Martin has always been quite private about his personal life, so he rarely shared things about his life partner. The singer said that at first the great news was too hard to believe. “And then it was very beautiful, and then thirty minutes after I said, ‘Wait did you said yes,” the singer explained. And, of course, the answer was Yes. The singer also revealed how he and Yosef met. The star claimed that he first saw his work and wanted to meet him. “I saw his art,” Ricky Martin said. “And I went crazy ‘cause I really love what he does. Really original. And I contacted him,” he went on to add. Ricky Martin said that at the moment when he first contacted Yosef, he actually had no idea what he looked like. “And then I saw what he looked like and I’m like, ‘Yeah,'” the star added. 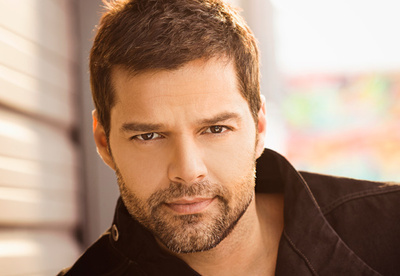 During his latest appearance Ricky Martin also announced that he will be having a Las Vegas residency. “I’m going to be in Vegas! I have a residency in Vegas,” he said. “You’re all invited! Did I just say that?” Without a doubt, congrats are in order for the famous singer.